Stefan Eins, stefan eins 3 mercer str. store from october 20th, offset print on heavy board, 7 x 6 ¾ in. 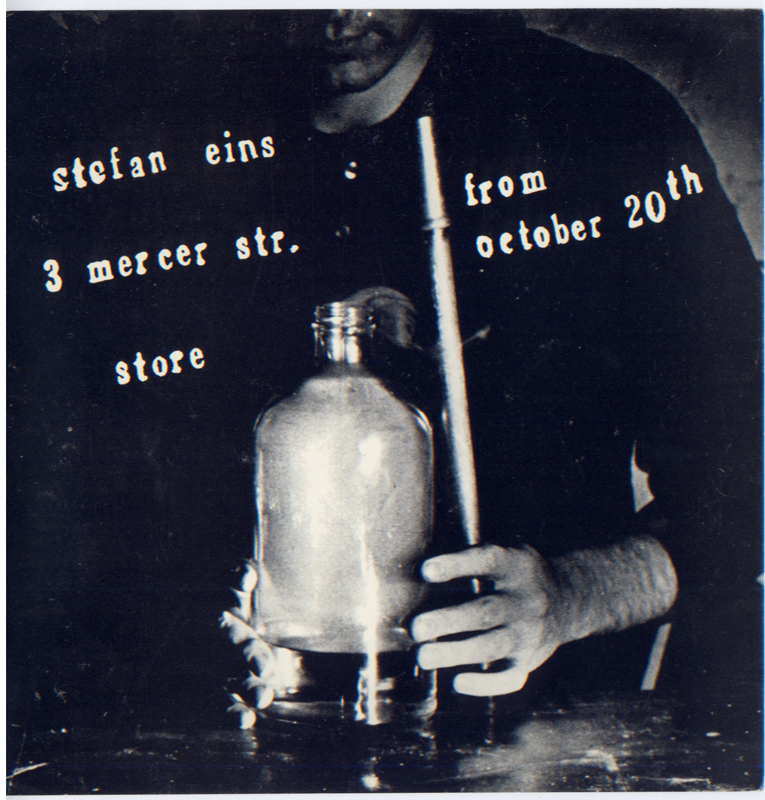 For this show at 3 Mercer Street Store, Stefan Eins demonstrated how to make fog using a heavy glass jar containing water and an air pump. Art collectors could purchase similar jars and pumps and make their own fog. This poster/announcement with its distinctive type, layout, square format and use of a firm (relatively thick) paper is an attractive example of Eins’ graphic art talents.